If you thought there was nothing new that could be done with body cleansers, you would be wrong. Dove Deep Moisture Foaming Body Wash is a lightweight cleansing foam that leaves skin soft, smooth, clean and moisturized. This fresh smelling body wash moisturizes skin just as well as their traditional body washes. The airy, silky foam is formulated with their NutriumMoisture technology which left my skin soft with no soap residue. I needed about 4-6 pumps of the Dove Deep Moisture Foaming Body Wash for a shower, and the lather was soft, creamy and bubbly. It was very concentrated, so with each pump I was easily able to cleanse more than one area. I found the pump dispenser to be a convenient way to use a body wash in the shower. 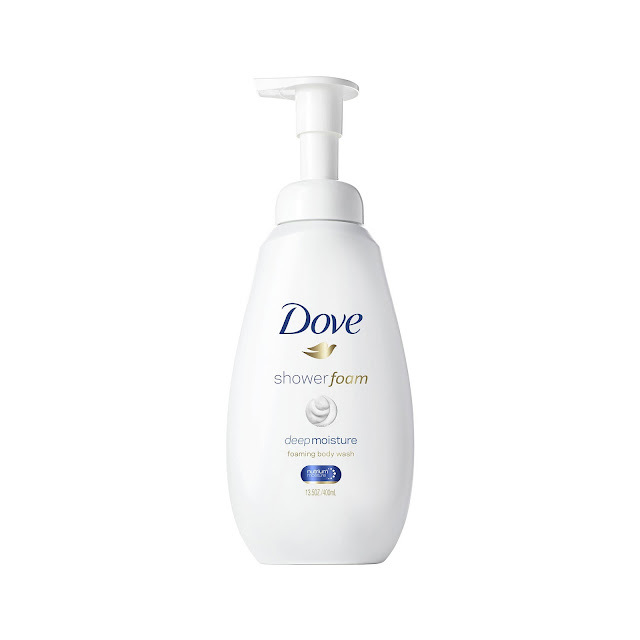 Dove Deep Moisture Foaming Body Wash has a creamy feel and the fresh, airy scent made it a must-have for my morning showers. After using it, I felt like I had pampered my skin. With the foaming formula, I noticed there was quite a bit product left in the bottle even after daily use, which makes this a great buy. The fresh scent is unisex, so it's also an ideal cleanser for couples or a family. *This product was provided courtesy of Dove PR for reviewing purposes.